For solitude and privacy Ella's cant be beaten! Ella's Estuary Retreat is situated at the water's edge with walkway access in a lovely private location with extensive views of the estuary. A well designed spacious 3 bedroom home, it has a large living area and sunny decks on both sides of the house. Well equipped kitchen and 2nd living area. Open fire for winter. Just a 5 minute drive to all amenities and golf and plenty of room to park the boat. There are two rooms with Queen beds, kids room with 2 sets of bunks (both with extra trundle bed below). Sofa/ dbl bed in living area & 1 set of bunks with trundler bed below is in 2nd living area. Open fire for winter. Renters need to bring their own sky card - please note that only traditional Sky cards will work in the decoder....MySky cards will not work but there is Freeview if you really want to watch TV! Wifi has now been added and for coffee addicts an espresso machine with grinder, just bring your own beans. Mangawhai is the perfect summer holiday destination or coastal retreat. With its beautiful swimming and surf beaches and abundant marine life, Mangawhai is a popular spot for sailing, fishing, surfing, diving and summer family fun. The clear waters of the estuary provide safe family swimming, and the secluded white sand beaches of Te Ari and Pakari are a short drive away. Enjoy the vibrant art and cafe scene, local farmers market and the famous Bennetts Chocolate Shop. Soak up the natural beauty of this slice of coastal paradise, beachcombing, bush walking or just relaxing in a comfy chair with a glass of something cool. This place has it all! A large spacious house with everything you need from a hammock on the deck to a day bed you will nap on. Everything is clean tidy and organised and with everything so close including the estuary just down the driveway and the main beach just a 7 minute drive away this place is hard to beat. Would love to visit again. Perfect location and perfect holiday home for a family get away. 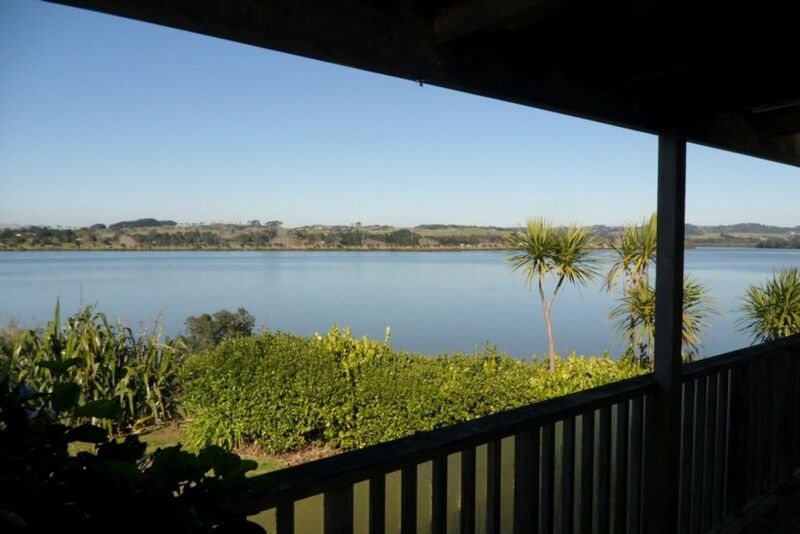 We loved the kiwi Bach feel and waking up to that view every morning was heaven...thank you so much ..Ella’s Estuary Retreat really recharged this tired mum’s energy levels!! Great: location, privacy, views, water access, spacious, warmth, comfortable bed, clean.